So, You Want to Donate Your Couch, Carpet, or Clothing? At Charities Review Council, we answer several phone calls from well-meaning individuals hoping to donate items (clothing, furniture, housewares, etc.) to nonprofits who need them. We love that these callers want to donate items to worthy causes rather than simply throwing them away. However, there is no single clearinghouse of nonprofits accepting donated goods. No such database exists because nonprofits’ needs and abilities to accept items aren’t the same from day-to-day. Why do some nonprofits accept donated goods, and what do they do with them? 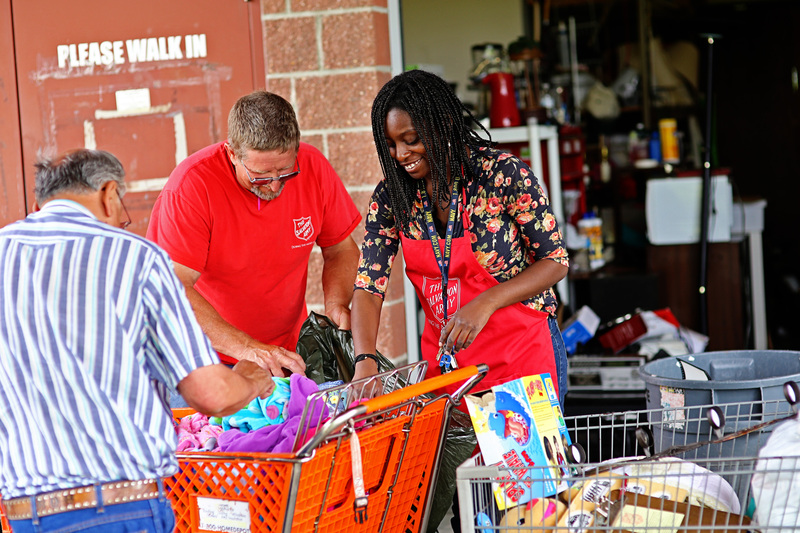 Many nonprofits sell donated goods to the public to raise money for their programs. For example, Goodwill/Easter Seals and the Salvation Army both run thrift stores. The profits from those stores support their efforts to deliver on their mission. Other nonprofits sell donated items to organizations such as for-profit thrift stores. For example, the Disabled American Veterans of Minnesota and the Epilepsy Foundation of Minnesota both sell goods to a private (for-profit) company called Savers that operates several thrift stores throughout the country under names such as Savers, Unique Thrift, and Valu Thrift. In these cases, the amount of money the nonprofits receive is based on a predetermined amount, independent of the sales within any of Savers’ stores. In most cases, Savers will pay the nonprofit a small amount for any goods they receive. Savers may pay as little as 40¢ per pound of clothing. Nevertheless, these nonprofits rely on the income they receive from donated goods to support their work. Why can it be difficult to donate goods? First, many nonprofits have limits on what they are able to accept. This might be based on the contract they have with the organization they sell the items to, or it might be based on what will or won’t sell in their own store. For example, few people are going to want to buy a used toilet, a used mattress, or even a used sleeper sofa from a thrift store. Depending on the item, it may also be an issue of personal safety or liability. Second, as of November of 2014, some of the large Minnesota nonprofits that accepted donated goods for many years, no longer do. Why have some large Minnesota nonprofits stopped accepting donated goods? In November of 2014, the Minnesota attorney general Lori Swanson released a compliance report saying she believed Savers was mishandling donated goods, and in May of 2015, she filed a lawsuit against Savers when they didn’t change their behavior. Savers has consistently said they never broke the law, but they came to an agreement with the attorney general in June of 2015 and agreed to adjust their practices. Savers is now being investigated in other states, too. After the compliance report was released, several nonprofits ended their contracts with Savers. True Friends, Courage Kenny Foundation, and Lupus Foundation of Minnesota decided to discontinue accepting donated goods altogether. Disabled American Veterans of Minnesota signed a compliance agreement with the attorney general and will continue working with Savers, ensuring all donated items are handled appropriately. Epilepsy Foundation of Minnesota and Vietnam Veterans of America also continue to solicit goods in Minnesota at this time. Why do some nonprofits charge for pick-up service? Some nonprofits will pick up your items for donation. A few offer this service for free, but many charge a fee. This fee can catch potential donors off-guard. Why do these nonprofits charge a fee to pick up goods being donated to them? It costs money for a nonprofit to pick up items. They need to pay for the trucks, the mileage, and the time for the workers, along with any normal costs of sorting and processing the donations. Depending on what is being donated, the donation might not even cover the costs of picking it up. Therefore, many nonprofits charge a fee to cover the costs of pick-up to make sure the donations are actually benefiting their programs as intended. With three large nonprofits cutting their ties to Savers, many donors hoping to support local nonprofits with their goods have been referred to us. Unfortunately, the Council has only a limited and outdated list of nonprofits accepting donated goods, so we aren’t able to help as much as we’d like. Below is the information we have about nonprofits accepting donated goods. If you plan to donate to a thrift store, make sure to check how much of the donation will actually go to charity. The thrift store should readily make that information available to you. Below are some options for donating directly to a nonprofit. Contact the nonprofits directly to find out exactly what items they will accept, and feel free to ask how they use the donation and how much your donation will benefit their programs. Offers a fee-based pick-up service within the Twin Cities seven-county metropolitan area. Schedule a pick-up. Accepts furniture, housewares, small appliances, mirrors, artwork, and tools. View a full list and donate. Offers free pick-up within a 25-mile radius of the two distribution centers in Saint Paul and Brooklyn Park. Accepts apparel, some electronics, books, games and toys, furniture, vehicles, some medical and assistive living equipment. View a full list and donate. Accepts vehicles, clothing, household appliances, games and sports equipment, bicycles, and many other household items. View a full list and donate. Offers free pick-up within the Twin Cities metropolitan area. Schedule a pick-up. Accepts appliances, building materials, bathroom vanities, doors, new electrical parts, flooring, furniture, hardware, home interior and exterior, kitchen cabinets, landscaping, lighting, paint, plumbing, tools, and new windows. View a full list, additional donation guidelines, and donate. Offers free pick-up within 10 miles of Alexandria, MN. Schedule a pick-up. Accepts items similar to the Twin Cities Habitat for Humanity. View a full list and donate. Accepts clothing, shoes, bedding and bath items, curtains, home décor, kitchen items, toys and sports equipment, small wooden furniture, books, videos, CDs and DVDs, lawn/garden items, tools, and hardware. View a full list and donate. Accepts small appliances, bedding, books, clothing, curtains, some electronics, small furniture, some household items, kitchenware, sporting goods, and tools. View a full list and donate. Accepts clothing, some household items, some electronics, some furniture, and some appliances. Call 1-800-728-7825 to verify if an item can be accepted. Donate. Offers free pick-up of furniture in South Washington County, Cottage Grove, Grey Cloud Island, Newport, Saint Paul Park, Woodbury, and South Maplewood. Accepts small appliances, blankets, furniture, books, CDs, clothing, working laptops, some electronics, jewelry, kitchenware, decorations, lighting, soft-side suitcases, tools, and toys. Offers free pick-up for furniture in the area around Arlington Heights, MN. Schedule a pick-up. Accepts cars, clothes, shoes, furniture, housewares, jewelry and accessories, linens, kitchenware, countertop appliances, audio and video components, CDs and DVDs, musical instruments (except organs and pianos), books, bicycles, toys, sporting equipment, lighting, and tools. View a full list and donate. of course, you can always cross-reference their list with our list of reviewed organizations! Learn more. A nonprofit allowing you to sell items and donate the proceeds directly to a nonprofit of your choice. Learn more. The Materials Exchange is a free service that links organizations that have reusable goods they no longer need to those who can use them. This business reuse network helps prevent usable materials from becoming waste and saves users money. Learn more. If you can’t find a nonprofit that will accept your items, you can also list them here. While the goods won’t be benefiting charity, they will at least be going to someone who can use it. Learn more.